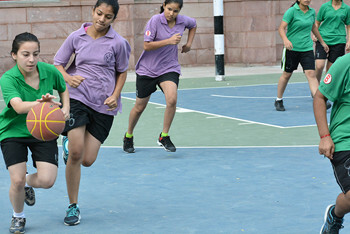 Aerobic activity helps to promote overall health, which in turn makes it easier to maintain muscle health of the students. Aerobics Team of RKKGPS has successfully participated in CBSE National Aerobics Competition. 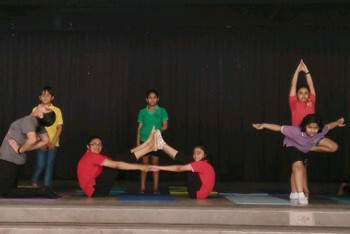 Facilities accessible to the students are a well-trained Coach, Dedicate Area, Step-Ups, Mats and Music System. 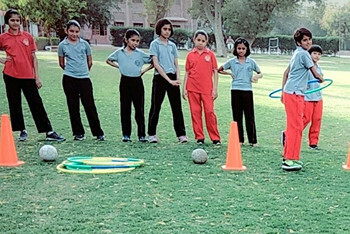 Facilities provided are Expert Coach Javelin of 600 Gm, Discus Of 1kg, Shotput of 4 Kg, Stop Watch, Batons for Relay Races, Proper Track For Running, and Soft Sand for jumping events. Dedicated Coach, Basketballs, Shoes, Basketball Court, Scoreboard, Uniforms, Shot Clock / Game Clock, Whistle, Basket Net, Signals Player Foul Markers, Playing Floor Court, Night Lighting, Spectator Areas and Basketball Shooting Equipment are the facilities provided. 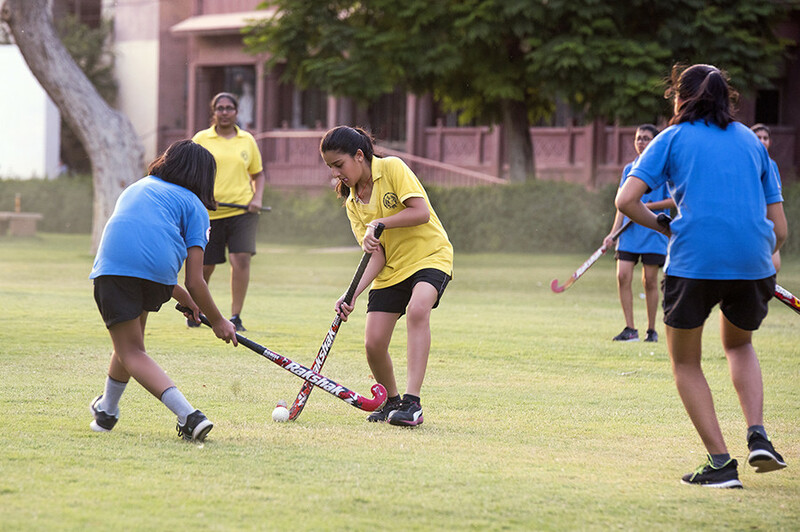 Inter House Hockey Competition is organised annually at RKK for which coaching is provided throughout the year by a dedicated and expert coach. 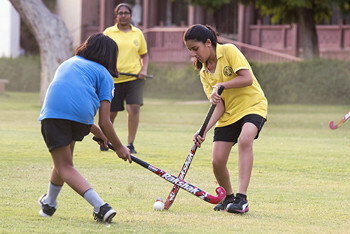 Hockey Stick, Shoes, Mouth Guard, Shin Guards, Socks And Rash Guards, Stick Bag, Grip, Ball, Helmet, Throat Protector, Chest Pad, Arms And Elbow Protector, Right And Left Hand Protector, Goalie Pants Groin/Pelvic Protector, Leg Guards, Kickers and Grass Court are the facilities provided. 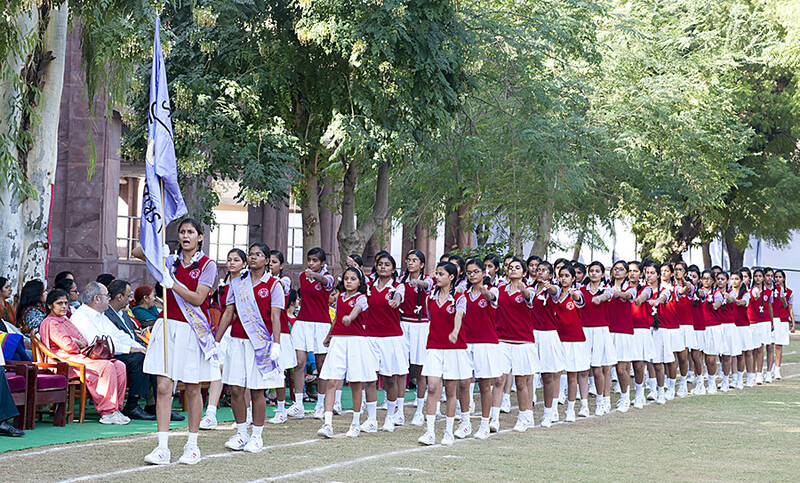 Inter House March Past Competition is zealously organised for classes V to XII every year in the school which instills in the students a spirit of teamwork, confidence, discipline, agility and obedience. The "need to do something for recreation" is an essential element of human biology and psychology. 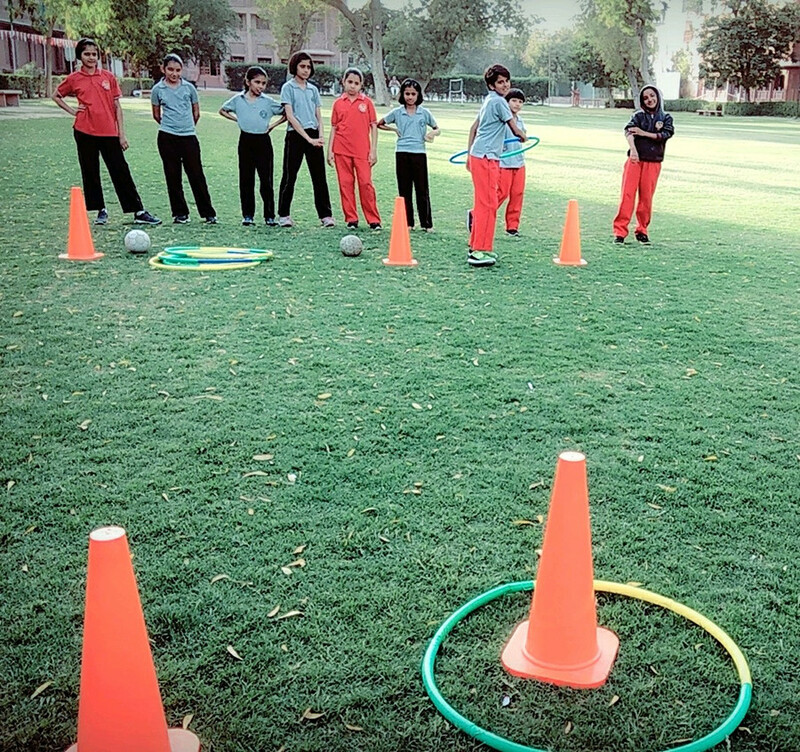 Recreational activities in RKKGPS are often done for enjoyment, amusement and pleasure using a different kind of balls, hoops and plastics cones etc. 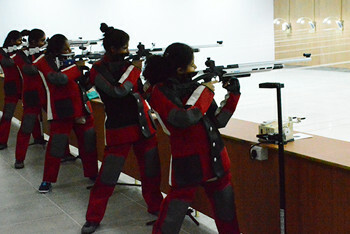 A dedicated Coach, Shooting Range of 15, Guns and Proper Kit are the facilities provided in school. 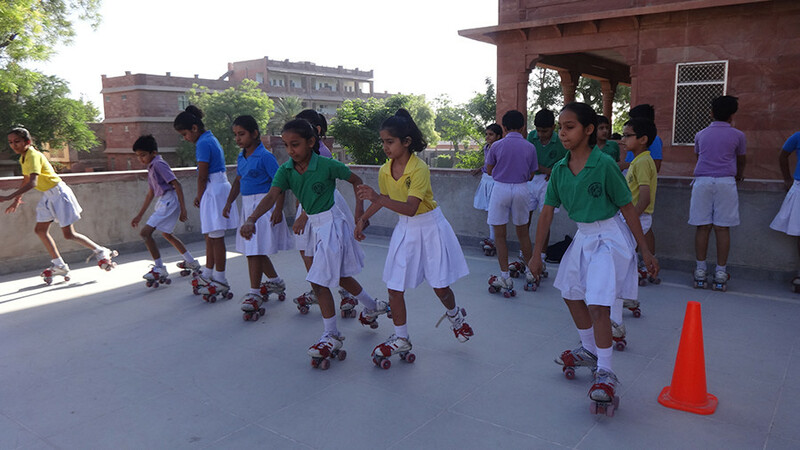 Skating an almost effortless way to build or improve greatly on the athletic skills of balance, perception and coordination, is a compulsory weekly sport for classes Preparatory to V at RKK. 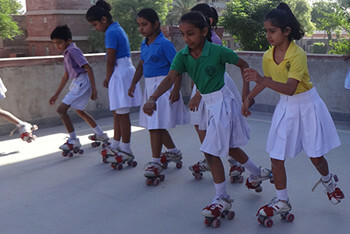 Students are provided with Roller Skates, Helmet, Wrist & Elbow Guards and Knee Caps. 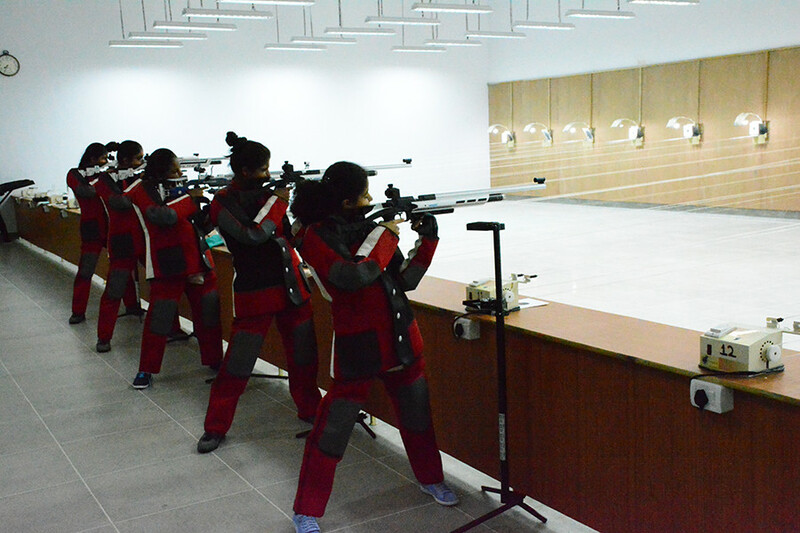 RKK hosts National IPSC Tournament for girls every year. 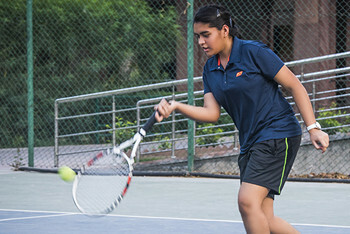 Three International Level Squash Courts along with all required equipment are available for students to practice under the guidance of expert Coach. The stunning Indoor Semi Olympic size pool with a depth of 3 to 4.5 feet is well ventilated and comfortable for students of all ages to learn and practice their swimming skills throughout the year. The hand-painted six stairs podium for spectators adds to its beauty. Students are trained in Butterfly Stroke, Breast Stroke, Back Stroke and Freestyle swimming. 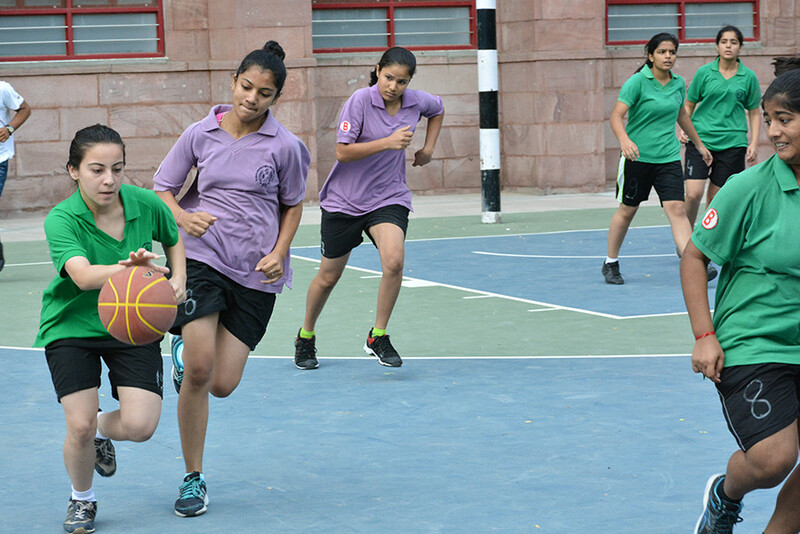 School provides specialised Coaches along with facilities like changing rooms for boys and girls, showers, cupboards, tubes, pull buoys, ropes etc. 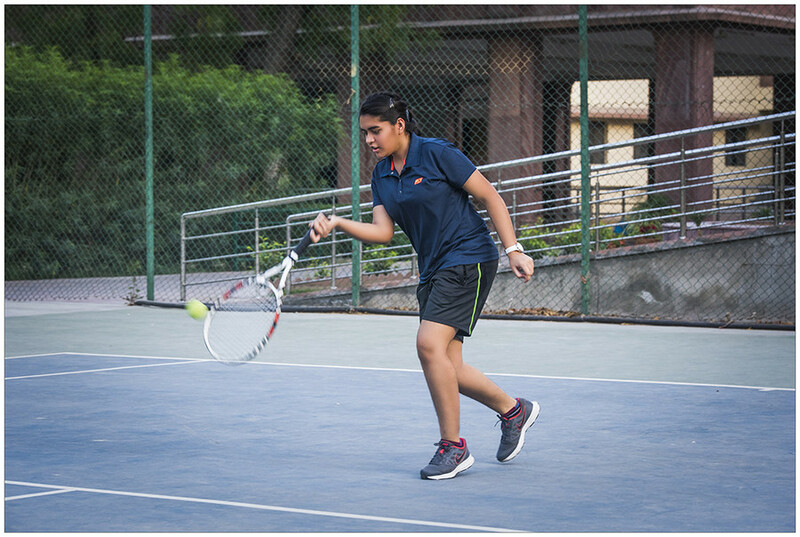 A well maintained modern tennis court, tennis racket, tennis ball, plastic cones and training and coaching by a dedicated coach are the facilities provided by the school. For addition of energy, strength and beauty to body, mind and soul of the students, Yoga abyhasa sessions are carried out every morning for primary classes.